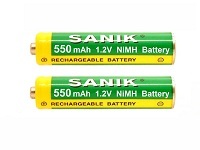 Lithium Ion (Li-ion) 18650 batteries have quickly become the preferred battery technology for most applications including Cree LED torches, e-cigarettes and for Vaping. Various forms of Li-ion exist with cells and battery packs designed for a range of applications from high power to high energy density all in a very cost effective package. Its advantages in energy density to weight and volume are well known. However, the additional benefits of Li-ion such as long cycle life, shorter charge times, the ability to fuel gauge and predict end of life accurately, and significant improvements in the long term stability at elevated temperatures have increased Lithium Ions adoption into even more applications particularly those previously serviced by older chemistries such as Nickel Metal Hydride or Nickel Cadmium. Batteries Plus has a range of top brand batteries such as LG, Samsung and Panasonic sourced by us to provide the best quality batteries at the most reasonable prices.